The recent release of the details of NASA’s proposed plans for human return to the moon in response to President Bush’s “Vision for Space Exploration” last year has drawn much comment — some positive, some negative and some simply perplexed. Although the reasons for undertaking the program were clearly articulated in the president’s speech, it is important to reexamine why the moon is its cornerstone and what we hope to achieve by returning there. All three are directly served by the new lunar return architecture. This program has the potential to make significant contributions to our national economy and welfare. The moon is a stable platform to observe the universe. Its far side is the only known place in the solar system permanently shielded from Earth’s radio noise. That allows observation of the sky at radio wavelengths never before seen. Every time we open a new spectral window on the universe, we find unexpected and astounding phenomena; there is no reason to expect anything different from the opening of new windows on the universe from the surface of the moon. Water is an extremely valuable commodity in space — in its liquid form, it supports human life, and it can be broken down into its two components, hydrogen and oxygen. These elements make the highest-energy chemical rocket propellant known. Water exists in the dark and cold regions near the poles of the moon. Scientists estimate that each pole contains more than 10 billion tons of water, enough to launch a fully fueled space shuttle once a day, every day, for over 39 years. The ability to make fuel on the moon will allow routine access to Earth-moon space, the zone in which all of our space assets reside. The moon’s slow rotation, unclouded skies and abundant local materials make it possible to build installations specifically designed to harvest solar energy there. Solar power, collected on the moon and beamed to Earth and throughout the space between the two, can provide a clean and reliable energy source not only for space-based applications but ultimately for users on Earth as well. Lunar solar power solves the apparent “showstopper” of other space-based solar power systems — the high cost of getting the solar arrays into space. Instead of launching arrays from the deep gravity well of Earth, we would use the local soil and make hundreds of tons of solar panels on the moon. Living on the moon will expand the sphere of human and robotic activity in space beyond low-Earth orbit. To become a multiplanet species, we must master the skills of extracting local resources, build our capability to journey and explore in hostile regions, and create new reservoirs of human culture and experience. That long journey begins on the moon — the staging ground, supply station and classroom for our voyage into the universe. The writer is a lunar scientist and staff member at the Johns Hopkins University Applied Physics Laboratory. 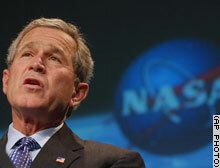 Last year he served as a member of President Bush’s Commission on the Implementation of U.S. Space Exploration Policy. Bill Gates and his wife Melinda are on the cover of Time magazine this week, along with Bono, as persons of the year for their work in helping the world’s poorest people. 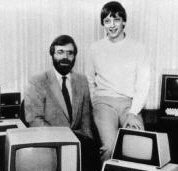 Gates founded Microsoft with another man who also went on to become a billionaire, and is also a great philanthropist. That guy doesn’t appear very often in Time. Unlike Gates, whose recognition rating is the equal of a Tiger Woods or a Tom Cruise, this other guy could walk down the street untroubled by autograph hunters. He’s Paul Allen, and he’s worth a cool $US 21 billion ($28.6 billion). Much of Paul Allen’s philanthropy has been dedicated to health and human services and toward the advancement of science and technology. Through the Foundation, Allen awards nearly $30 million in grants annually. In 2004, Paul Allen confirmed that he was the sole investor behind Burt Rutan’s Scaled Composites’ SpaceShipOne suborbital commercial spacecraft. SpaceShipOne was the first privately-funded effort to successfully put a civilian in suborbital space and winner of the Ansari X Prize competition. This week, it became evident that Netflix came out on top as a market leader as far as the movie rental industry goes. Netflix was embroilled in a bitter turf war with longtime Rental Moghul, Blockbuster. This year Blockbuster switched places in market value over the course of an intense, year-long price war, with Netflix — which has no debt — now worth $1.5 billion, compared with Blockbuster at $684 million and more than $1 billion in debt. This despite the fact that Blockbuster launched an intense year long offensive to specifically target the once small fish, Netflix. This only goes to show you how once market elephants, find it difficult to make the turn around until it is too late… making for spectacular downfalls. Google has come under immense pressure from countries like India, Israel and China that have sensetive military installations and are in the midst of a conter insurgency in their respective countries. Google has held talks with these countries, but has held a firm stand against limiting the resolution of sensitive sites until now. It has become evident that to be a truely global country, Google must be sensetive to global concerns and sometimes get dragged into local/territorial concerns. An interesting article in the BBC talks about how the Spaniards are all Goo Goo GaGa over a Gems or “Global Electric Motorcars“. “Each Blobject car comes with a touch-screen computer system mounted in the dash. Through a USB port, you can plug in a flash drive containing information on Cordoba in Spanish, English or French. By using GPS technology, the computer keeps track of exactly where you are in the city.” A peek into our future? I’ll let you decide.